I’m just going to say it right away, Yooka Laylee is on the most enjoyable experiences I had reviewing a game in a long time. I went into this game without even ever playing any of the Banjo-Kazooie games which Yooka-Laylee is the spiritual successor of that series. I didn’t know what to expect when I booted up the game for the first time, and at first I wasn’t appreciating the brilliance that this game was offering. However it didn’t take long for me to be sold on this crazy world that is Yooka-Laylee. In Yooka-Laylee you mostly play as Yooka who is the chameleon, there’s also Laylee who is a bat that you also play as but not as much as Yooka. The character couldn’t be any more different with Laylee constantly saying inappropriate things to other characters in the game while Yooka is there to balance the crazy and hyper Laylee. The team of Yooka and Laylee really work well in this game, and lead to some of the funniest moments in the game. The plot of Yooka-Laylee is pretty simple, you have to stop the evil guys by finding as many “paiges” as possible. Gaining a new paige is mostly the end goal from the hundreds of mini-games or I guess you could call them mini-quests too. Your goal is to enter new worlds, and find as many paiges as possible within these world’s, there’s no indicator or mission tracker so it’s up to yourself to explore these world’s as thorough as possible because this game is not going to help you much. I do like that this game is a real throwback to the old generation of games were the game isn’t holding your hand, and you have to go out and find what you need to do next rather than being told where to go next. Exploring and finding new quests is seriously a major part of the game, and takes up a lot of the time. Some will not like this, but I’m a big fan of it. Going back to paiges, what are these are actually used for? Well they open up new worlds in the game, as well as being used to expand already explored worlds with new challenges, characters and areas. Almost like a free DLC within an actual game, is it bad that this was the first thing I thought of when expanding the first world? Expanding the worlds actually brings out a new challenge of exploring the world once again to really understand the changes that happened. You will also unlock a boss fight when expanding the world, and like this whole game, they are fun, and can be challenging too. Now I talked earlier about characters, and trust me you’re going to meet many in this crazy game. 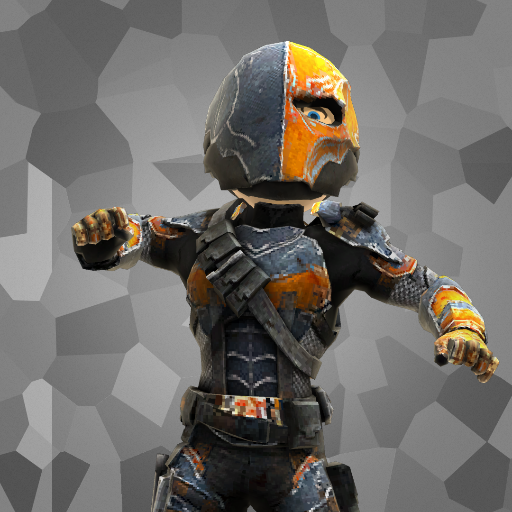 One of my favorite characters who you will see a lot of in this game is Trowzer. You will see Trowzer on the phone, making deals and pretending to be a big shot. He is also important because he is the character who you can purchase new moves from, you will need to collect quills which are scattered around worlds, as those are the in-game currency for Yooka-Laylee. You will meet other memorable characters such as Rex who is a classic video game fanatic, he is usually seen near an overly sized arcade machine. For those old gamers out there, Rex’s character might come off as quite relatable as he is attached to old arcade video games, and doesn’t want to accept new games. He also has one of the best mini-games in the game, were you have to beat his hi-score in an arcade game. Trust me, it’s incredible. I don’t want to spoil too many character meeting’s so I’ll leave it at that, and just let you know once again that you’re going to meet some hilarious and memorable characters in this game. I’m struggling to find many faults with Yooka-Laylee. Okay, it’s held back by some minor technical issues but other than those minor issues, this game was an absolute blast to play. 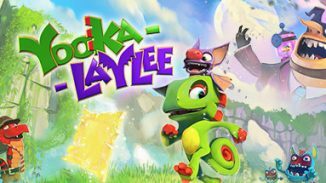 If you’re looking for a chilled out, over-the-top, and at time hilarious video game that is also fun to play then Yooka-Laylee deserves your attention. This gets an absolute recommendation from me, and a must buy at launch.